Prior to joining Abertay as a lecturer in 2010, I worked in IT and Game Development. I currently combine my industry experience with my doctoral field (history) by exploring the intersection of games, digital media and history. My recent work explores commemoration and memorialization in videogames and interactive media. 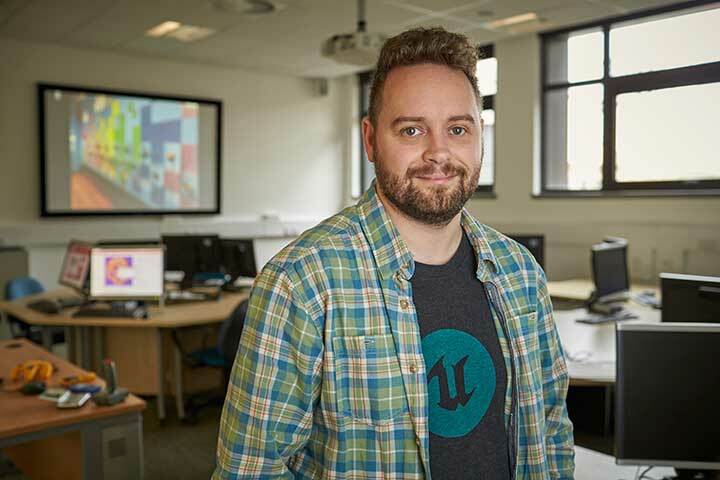 I primarily teach game production and am actively engaged through the Biome Collective in researching production and management within the creative industries, particularly project methodologies for SMEs and for multiplatform development. 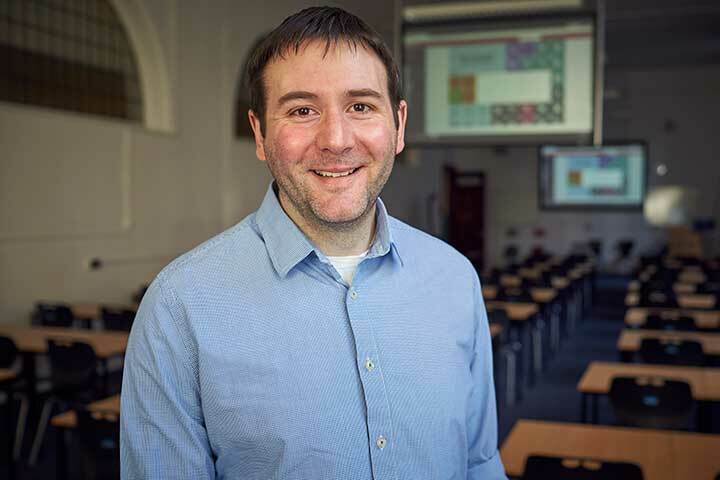 I have led several award-winning Applied Games projects, and have written and presented on creating and developing games for digital health, education, cybersecurity and social change. My principal research interests lie in production and management within the creative industries, with particular reference to the area of project methodologies across multiplatform development. Recent research includes a study in balancing traditional and agile approaches within a multiplatform environment. I am actively engaged in researching in the field of digital media where I have written and presented on the topics of practice-based teaching, user engagement, collaborative working models and the sharing of intellectual property for the Digital Media and Games industries. Combining my industry experience with my doctoral field I am investigating the history of computer games and their cultural significance and relationship with public opinion. Other research interests include quality assurance, user experience, continued professional development, sector diversification, sector incentivisation, quality of life and unionisation. "Entertainment Design – A Module in Expectation Management" co-authored with Dr Euan Dempster and Dayna Galloway. Publication pending by Abertay University Press and electronically by the BCS, The Chartered Institute for IT. "The Spanish-American War and American National Identity," War and Identity, edited by Bertrand Taithe and Tim Thornton, Sutton Publishing Ltd, 1998. ISBN 0-7509-1683-4. "Prototype – Developing a Successful Model for Academic and Industrial Collaboration," co-authored with Dr Euan Dempster, Dayna Galloway and Gregor White. Accepted for SMCA 2010-2011. Originally accepted for Computer Supported Education, Valencia, Spain, 7-10 April 2010. "Entertainment Design – A Module in Expectation Management," Presented at the HCI Educators Conference, University of Abertay Dundee, 23 April 2009. "The Scottish Press, the Spanish-American War and the Prospect of an Anglo-American Alliance in 1898," Presented at the Modern History Seminar, University of Edinburgh, 18 November 1998. "The Centennial of 1798: How the British and American Press viewed the 1798 rebellion one hundred years on," Presented at Ireland’s Year of Liberty - 1798: Responses and Representations Conference, University of Luton, 24-26 July 1998. "Empire or Republic? The Philippine Insurrection and its impact upon American National Identity, 1899-1902," Presented at Empires and Identities Since 1500 Conference, Royal Historical Society, 26-27 September 1997. "Voices of Caution: Sermons on the Spanish-American War," Presented at the Graduate History Forum at the University of North Carolina at Charlotte, 15-16 March 1996. 2011 - Evolution and Convergence of Games and Platforms, BBC Production Masters Workshop. BBC Scotland.